IBA (Ion Beam Applications SA), a provider of proton therapy solutions for the treatment of cancer, and CYCLHAD (a CYCLotron for HADron Therapy), are pleased to announce that the first patients have been treated with proton therapy by the medical team from Centre François Baclesse at the CYCLHAD Centre in Caen, France. The patients (both with brain tumors) started proton therapy, a treatment that helps to preserve the surrounding healthy tissues, on July 31, 2018. The treatments are being delivered using the ProteusONE solution at the CYCLHAD Centre. This single-room solution has been installed within 12 months by IBA. As described in a company press release, ProteusONE is the only truly compact Image Guided Intensity Modulated Proton Therapy (IG-IMPT) solution in the industry. 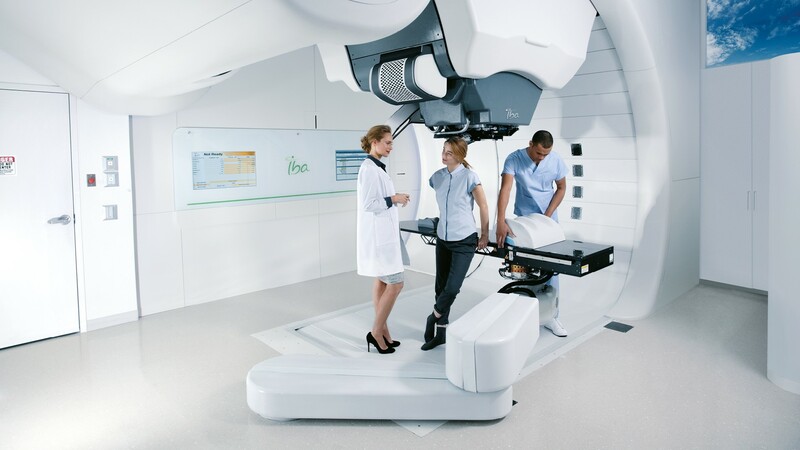 It has a unique open gantry environment designed to ease the work of radiation therapists during the treatment workflow and optimize the patient experience by providing a comfortable and calming environment. Its compact design makes it easy to install, operate, and finance. The CYCLHAD Centre, in Caen, is the third center in France being equipped with a proton therapy treatment room. In the future, the center will be able to treat up to 30 patients per day with this advanced technology. IBA is actively preparing the second phase of the center’s development, in which it will collaborate with several French industrial partners and semi-public institutions, to develop the potential of carbon beam therapy. Carbon ions have the same physical characteristics as protons, but have the added advantage of being particularly effective for the treatment of radiation-resistant tumours. Within this collaboration, IBA will provide support and expertise for the development of a prototype carbon therapy system based on an advanced 400 MeV (megaelectron-volts) superconducting isochronous cyclotron, which is able to accelerate carbon ions used in hadron therapy. First patients treated with IBA proton therapy in Caen at the CYCLHAD Center. Appl Rad Oncol.